Congratulations to Society of Animal Artists member and president Diane Mason, she will be the featured artist at this year’s NatureWorks Art Show & Sale in Tulsa, Oklahoma. Diane has been a proud member of the SAA since 2003, and she has served on the Executive Board since 2005, becoming President in November of 2008. 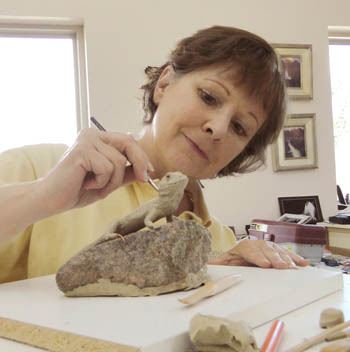 She has received the Leonard J. Meiselman Award for a Representational Sculpture in the Academic Manner in 2003, and an Award of Excellence in 2010 for her service as President.